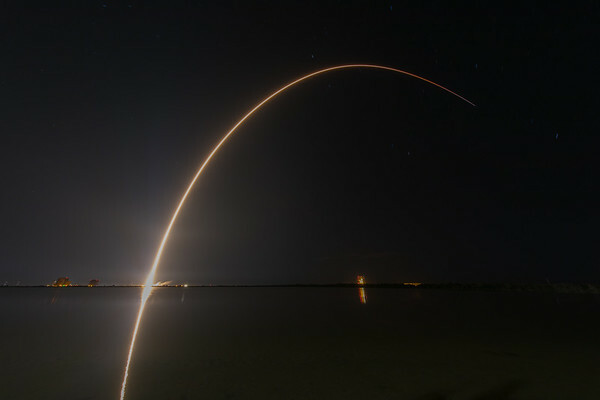 Seen here is the United Launch Alliance #SBIRSGEO3 satellite, launched tonight at 7:42pm (ET) atop an #AtlasV rocket from Cape Canaveral Air Force Station with great support form the 45th Space Wing at Patrick Air Force Base, Fla.
SBIRSGEO3 Atlas V launch by United Launch Alliance - It's full of stars. With a nod to the always great Ben Cooper, this is a non-star trail look at how clear the sky was as the rocket laucnhed. 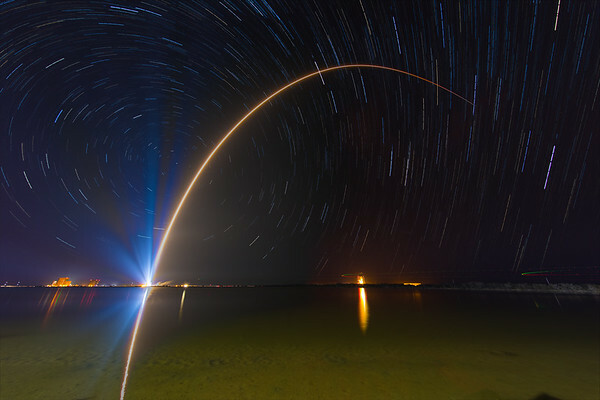 It's really amazing watching the rocket fade into the night sky against a sea of stars, and this image (very similar to Ben's) comes only semi-close to representing the view. I can identify at least one constellation: Ursa Minor, which is barely visible through the xenon spotlights at the pad. 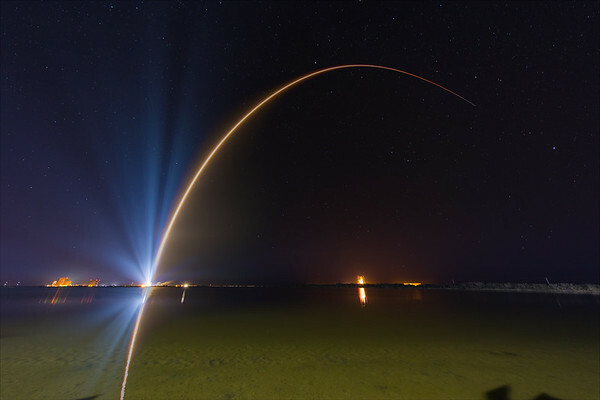 Specs: One 30-second exposure frame shot at ISO500 and f5.6, captured 4 minutes before liftoff and then the streak is a single, 163-second exposure, all shot through an 11-24mm lens (at 11mm) on a full-frame body. Initial processing done in Lightroom, stacking done in Photoshop, with final edits done in Lightroom.